Expat Health Insurance Comparison: Why Get Global Coverage? 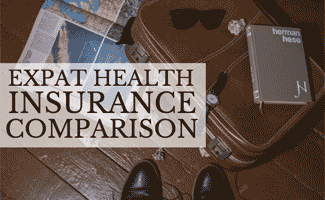 Home > Health > Expat Health Insurance Comparison: Why Get Global Coverage? Are you planning on living abroad? Don’t get caught up in the excitement of your upcoming adventures without taking some necessary precautions. One of the most important things to consider is health insurance. Most U.S. medical insurance plans don’t include coverage outside of the U. S. Even if you’re young and healthy; you never know what can happen. What if you develop a serious illness while abroad, or you get injured in a car accident? Your impending medical bills will put a huge damper on your adventures and could force you to return home. Fortunately, you have medical insurance options to cover your time overseas. Here, we’ll give you the need-to-know info about expat health insurance. Why Do You Need Expat Insurance? If you’re planning on living and working abroad for an extended period, you should seriously consider getting international health insurance for expats. In fact, the U.S. State Department highly recommends you purchase global medical insurance if you’re planning on traveling or living abroad. Why? Many expats aren’t covered under a U.S. corporate or group health plan. And as a foreign national, you and your family likely won’t be entitled to any free or subsidized healthcare plans offered by the country you’re temporarily living in. Getting medical treatment and hospital care overseas can be very expensive, and a medical evacuation back to the U.S., should you need it, can cost $50,000 or more. How Much Does Expat Health Insurance Cost? Many companies offer two areas of coverage: a) worldwide, excluding the USA or, b) worldwide coverage. Expatriates often travel to multiple countries during their time abroad, so a global policy provides for continuous coverage no matter where you fall ill. If you’ll be traveling back to the U.S. at any time while living abroad, you’ll want to make sure you opt for comprehensive worldwide coverage. Some providers, however, may offer policies and pricing based on regions — and they may exclude high-risk regions of the world. When setting pricing and premiums, providers must take into consideration the costs of healthcare in high-risk areas. Some companies rank countries or regions by the cost of medical care and the risk of living in those areas. In addition to regional differences, the cost for expat health insurance varies pretty widely by the type of policy you want, the provider, your age and medical history. In that way, international health insurance cost is similar to other types of health insurance. It’s crucial to do your homework and compare plans and companies to make sure you’re getting the best coverage for your money. One of the best expat health insurance plans is USAway Major Medical Insurance, underwritten by Petersen International Underwriters. This policy offers medical coverage up to $5 million and gives you several choices for your deductible, ranging from $0 to $5,000. In addition to the list of covered health expenses below, this policy gives you some excellent added benefits, including accidental death coverage, lost luggage reimbursement, trip cancellation benefits, and financial assistance if you need to return home for an emergency. USAway Major Medical Insurance also offers the following optional coverage add-ons to their policy. Check out the video below by Petersen International Underwriters to learn more about USAway Major Medical Insurance. We hope our international health insurance reviews have given you the information you need if you’ll be spending an extended period abroad. If you don’t need coverage for that long, you always have the option of keeping your existing policy and purchasing travel insurance. Many travel insurance policies cover medical expenses for you and your family if needed. Check out our travel insurance reviews to learn more. Where will you be living abroad? Are you prepared in the event that you have a serious illness or accident? Like This Article? Sign up for More Free Mysterious Discoveries! Disclaimer: The information provided through this website should not be used for diagnosing or treating a health problem or a disease. It is not a substitute for professional care. If you have or suspect you may have a health problem, you should consult your health care provider. Disclaimer: Information regarding insurance company offerings, pricing, and other contract details are subject to change by the insurance company at any time and are not under the control of this website. Information published on this website is intended for reference use only. Please review your policy carefully before signing up for a new insurance contract or any other contract as your unique circumstances will differ from those that may be used for example purposes in this article. An international traveler since she was under 10 years old, Sally loves exploring the world’s mysteries first hand. Her favorite destinations? Greece and the British Virgin Islands. She grew up learning to question, explore, and discover new things and ideas — it’s probably why she went into journalism as a career! She loves what the Internet has brought to research and exploration, but she still hits the ground to travel whenever she gets the chance. Best Language Learning Software: Fluenz vs Pimsleur vs Rosetta Stone vs Duolingo & More! I’m moving overseas temporarily for a one-year program at London School of Economics. Do I need insurance as a s student? All Content © 2019 Cover Story Media®, Inc. All Rights Reserved. Exploring Life's Mysteries® is a trademark of Cover Story Media®, Inc.